A tree grows differently in each season. In the spring, growth is rapid, resulting in a soft wood that becomes denser as the year goes on. Saluda sculptor Stoney Lamar would know: Spring wood burns differently than summer wood, he reports, and it absorbs paint differently, too. After sculpting for more than three decades, Lamar is intimately familiar with the qualities of his medium. For the artist, who is nationally recognized for bridging the worlds of fine art and craft, each new block of wood is another opportunity for discovery and collaboration. Throughout his career, Lamar has amassed a résumé of noted discoveries, the most prominent of which is his multiple-axis technique. Differing from wood-turned bowls and other symmetrical works made using a singular axis on the lathe, Lamar’s method uses multiple axes, which has enabled him to create asymmetrical and curved forms that hadn’t before been achieved in wood turning. He further innovated by incorporating steel into his work. And while wood turners traditionally have reverence for the grain, he creates his own surfaces with paint and texturing tools. Lamar’s unconventional background might help explain his openness to such unconventional approaches. Preparing for a career in furniture making, he studied industrial design, not art. But shaping wood into prescribed forms didn’t appeal to him, so he started creating contemporary art from it. Noted as one of the pre-eminent American craft artists working in wood, Lamar was the subject of a retrospective at the Asheville Art Museum in 2013. That exhibition traveled throughout the United States in 2014, concluding its run at the Center for Art in Wood in Philadelphia this past April. His work is included in prestigious public and private collections, including the Renwick Gallery of the Smithsonian American Art Museum and London’s Victoria and Albert Museum. In 2011, he received a lifetime achievement award from the Collectors of Wood Art. 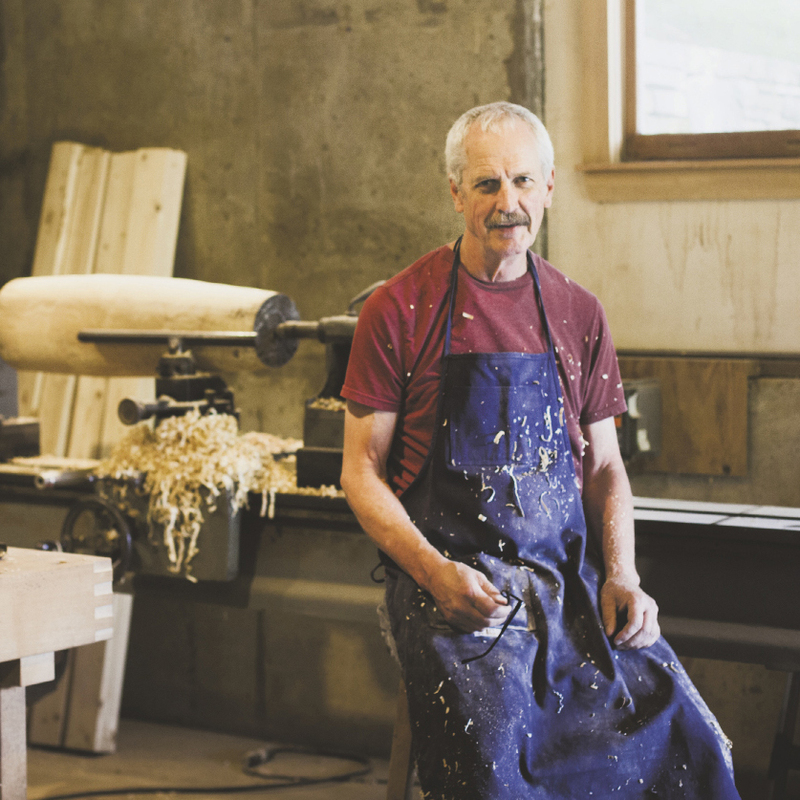 Furthermore, he’s been an active leader for organizations including the American Craft Council, Southern Highland Craft Guild, and the Association of American Woodturners. In 2009, Lamar was diagnosed with Parkinson’s disease. Rather than slowing him down, the diagnosis seemed to catapult him into one of his most prolific periods of work. “I’m told I have a good attitude about it,” he says. Studio assistants help with certain processes. “People get nervous when they see a guy with Parkinson’s holding a chain saw,” he jokes. But whatever the impact of physical limitations, his artistic vision seems to have sharpened. His career is undergoing a new season of growth, one that combines a fresh perspective with the wisdom that comes with experience. Lamar’s latest work will be featured July 2-August 28 as part of the Mentor exhibition at Blue Spiral 1 gallery in Asheville. For more, see www.stoneylamar.net.